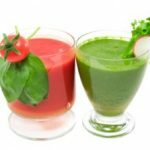 While spinach remains the most popular option for leafy green vegetables when it comes to a green smoothies, there are many other excellent options that you can use. Just remember that whenever you are shopping for new produce, try to choose organic options. Organic produce tends to have the least amount of pesticide residue, and so, it is healthier for you. When most of us think of parsley, we tend to think of it only as a garnish for fancy dishes in a restaurant. However, parsley actually has many nutritional benefits to offer. 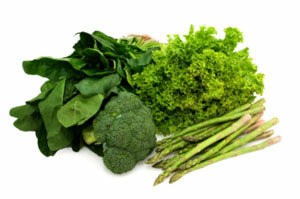 Just like most other leafy green vegetables, it is packed full of vitamins, antioxidants, and minerals. In terms of nutrition, parsley is going to offer a great source of Vitamin C and K. It is also a good source of iron and calcium. There are actually two different kinds of parsley: curly parsley and Italian parsley. Italian parley has broad, flat leaves, and it is usually the preferred of the two when it comes to making a green smoothie. Parsley has a distinct flavor, but it blends well with a number of different fruits, including bananas, pineapples, different types of berries, and mangos. Parsley also blends well with baby spinach and kale, and it will make a nutritional addition to any green smoothie. Dandelion greens are the preferred leafy green vegetable when it comes to a detox green smoothie. Dandelion greens have been used to cleanse the liver and gallbladder, and it can help to support kidney function. 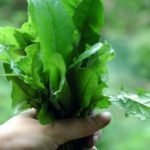 There is also some medical evidence to suggest that dandelion greens can help stabilize blood sugar levels and lower bad levels of cholesterol in the bloodstream. While dandelion greens grow wild, but you can easily find them in most health food stores. Dandelion greens do have a bitter taste, so they should be blended with strong fruits, such as pineapples, oranges, bananas, and strawberries. I personally like to add vanilla bean and flavored protein powder to my green smoothies with dandelion greens. 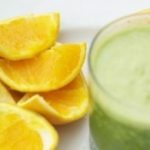 Additionally, blending dandelion greens with one cup of baby spinach or kale can help even out the bitterness of the smoothie. With these alternatives to baby spinach, you will have plenty of new options to experiment with when it comes to making your next green smoothie. Give it a try and let me know what you think. 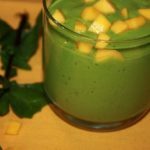 You may just come up with a new green smoothie recipe that is a true winner!